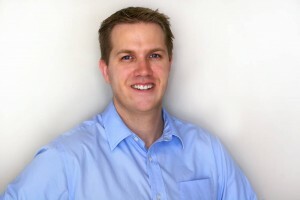 Dr. Robert Allred opened the doors to Body Balance Chiropractic in Logan, UT on March 01, 2011. He graduated from Logan College of Chiropractic in December 2010. Born and raised in Taylorsville, UT. Dr. Robert Allred comes from strong family ties and that same standard is portrayed in his practice. His specialties include, but are not limited to, pediatric care, pregnancy care, nutrition, detoxification, acupuncture, and a multitude of chiropractic treatment techniques for all ages. Family care is strongly encouraged in the office as Dr. Allred expresses that every person, young and old, has a nervous system and should have chiropractic care for a better life. Dr. Allred has completed an additional 100 hours in acupuncture training. He is a member of the American Chiropractic Association, the Utah Chiropractic Physicians Association. Locally, Dr. Allred is a member of the Cache Valley Morning Rotary Club and Cache Valley Chamber of Commerce. Dr. Allred believes in community involvement and is very involved with his church and other service organizations. Dr. Allred is married to his beatiful wife Melanie Allred and has 3 children, Patience, Emma and Lucy. Outside of the office Dr. Allred enjoys spending time with his family, being outdoors and playing and watching basketball. Dr. Allred also enjoys public speaking to various organizations and businesses. A goal of his is to educate as many people as he can through speaking and providing health screenings within the community on the benefits of Chiropractic and Wellness care for optimum health and performance. Our facility utilizes many different techniques to meet your needs and to better service our patients. The committment to better our patients lives through chiropractic care is the underlying passion to Dr. Allred’s treatments and facility.